What is Athletic Equipment Testing? The NTS facility in Chesapeake, Maryland utilizes the most sophisticated athletic equipment testing available. Our athletic equipment testing division is led by a team of engineers who operate in a state-of-the-art laboratory that is dedicated to testing personal safety equipment used by all athletes and recreation enthusiasts. We are Safety Equipment Institute (SEI)approved for National Operating Committee on Standards for Athletic Equipment — or NOCSAE — testing and offer additional testing to ASTM, DOT and other athletic equipment standards. Athletic equipment and sporting goods manufacturers invest a great deal of time, effort and resources in producing the type of athletic gear everyone from young sports enthusiasts to high-level professional athletes can count on to safely participate in their respective sports. Of course, at almost every step of the manufacturing process — from early research and development through final inspections and certifications — independent, third-party testing plays a crucial role in evaluating and ensuring the quality of the athletic equipment produced. The retail sporting goods industry in America alone is estimated to earn approximately $45 billion each year in revenue and has a predicted annual global market growth rate of 3.4 percent. Athletic equipment manufacturers are in a solid position to remain competitive for the foreseeable future as long as their products are deemed safe and effective. 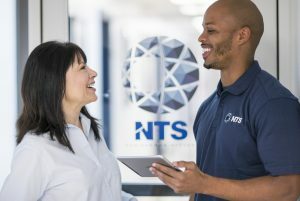 Fortunately for manufacturers, NTS has been in the business of supplying comprehensive — as well as specialized — engineering and testing services for well over five decades. 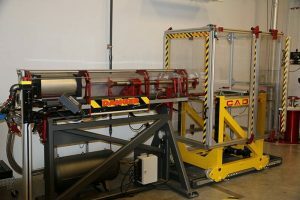 At NTS, we regularly conduct athletic equipment testing at our state-of-the-art Chesapeake facility, which is specialized in the advanced testing of all types of personal athletic equipment. In testing equipment for everything from its resistance to high-velocity ball impacts to its capacity to protect athletes against falls and other sports-related dangers, our ability to propose, prepare and run the necessary tests on a piece of athletic equipment are second to none. 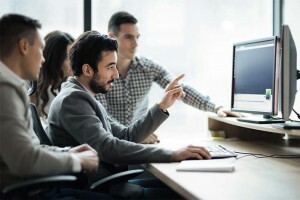 That’s why our testing expertise is trusted by businesses ranging from large sporting goods suppliers to small, specialized equipment manufacturers. What Types of Athletic Equipment Are Tested? What Standards Do They Have to Meet? A catcher in baseball needs different athletic equipment than an ice hockey goalie does — and even different positions in football have their own unique protective padding requirements. So to help manufacturers meet the standards of the particular sport they produce athletic equipment for — and to ensure the players in a sport are sufficiently protected by high-quality gear — several athletic associations and other regulatory bodies set out standards that are often specific to a certain sport or activity. Football is by far the most popular sport in the United States and continues to grow internationally in places like Canada, Germany, and India. As player safety continues to become top priority in the sport, we are proud to assist manufacturers and product designers by offering high quality and repeatable testing at an affordable price. 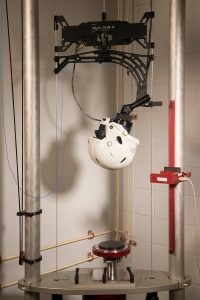 Football helmet testing at NTS Chesapeake involve impacts using our twin-wire drop tower (NOCSAE) or helmet-to-helmet impact simulation on our Linear Impactor. With our Hybrid III Head and Neck assembly, we are able to test products for rotational forces and neck movement. With long seasons of playing game after game, from tee-ball to the pros, new equipment is being manufactured every day. Test your gear at NTS Chesapeake and we’ll have the test completed and the results to you in no time so you can keep your business rolling. 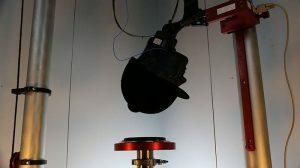 The testing of baseball helmets and softball helmets is done using one two methods. The first utilizes a drop tower, either a monorail or twin-wire machine. The second method simulates strikes from baseballs and softballs fired through our air cannon at speeds of up to 200 mph. We have recently added a specialized bat testing machine which meets the needs of both composite and wooden bat manufacturers. BBCOR and wood bat durability testing are among the capabilities offered, to ASTM and NCAA specifications. Ice Hockey players go all out every time they hit the ice. If it’s your job to keep these hard-hitting players safe then give NTS Chesapeake a call. We would love to help you show how your products can keep players on the ice and performing at the highest level. 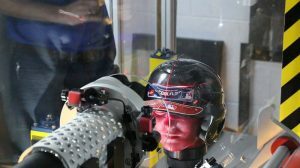 Hockey helmet tests have many moving parts and we are well equipped to handle them. 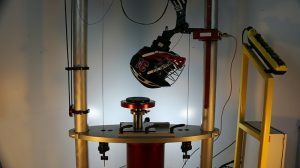 Drop impacts, puck strikes, retention system testing, and verification of face-mask opening-size are all vital parts of our lab’s hockey testing capabilities. Often called “the fastest game on two feet”, lacrosse players must be able to move with ease yet be protected from both stick and body checks. When you create that revolutionary piece of equipment that will change the game forever remember to send it to NTS Chesapeake for all your testing needs. Whether we are launching LAX balls at helmets, checking for helmet stability with our custom helmet roll-off rig, or providing confirmation that lacrosse-stick heads cannot penetrate through a face-mask, NTS Chesapeake is prepared to assist the lacrosse industry in providing the best quality products for players nationwide. Soccer is the largest athletic market in the world! When it comes to soccer safety equipment, if you aim to get a piece of the pie you’ll need consistent data to backup your products. With the best testing equipment in the industry at our disposal we are confident we can give you the results you need. Polo players require equipment to protect against various injuries including strikes from a ball or mallet, and even being unhorsed. If you are looking to validate your polo gear, NTS Chesapeake can offer the testing you need at a competitive price. 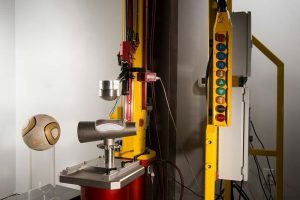 Drop impacts are the primary test method for equestrian helmets here at NTS, but other test criteria include helmet stability and resistance to polo ball impacts. Custom designed test methods are available.